An Albanian court dismissed a claim of “moral anguish” brought by a judge and his wife against BIRN Albania. 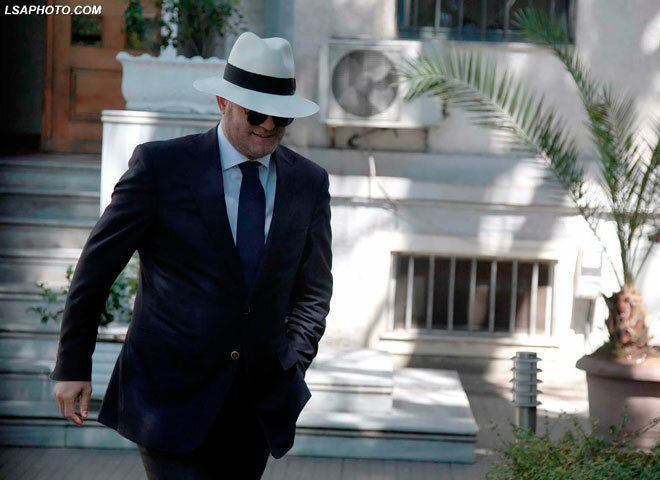 Following repeated delays, a court in Tirana on Thursday threw out a defamation case against BIRN Albania, brought by Appeals Court judge Gjin Gjoni and his businesswoman wife over BIRN’s reporting on the judge’s wealth. The presiding judge, Astrit Faqolli, said the repeated failure of the plaintiffs to show up was making a “mockery of the court” and dismissed the case after almost 12 months and 11 hearings. Gjoni and his wife, Elona Caushi, were again absent; their lawyer cited sickness and requested another postponement. The couple had sought a total of 52,000 euros in damages from BIRN Albania as an organisation and from its journalists, Besar Likmeta and Aleksandra Bogdani, over three articles published on Reporter.al, BIRN Albania’s online publication, in 2016 and 2017. The journalists had reported on the closure and then the reopening of an investigation by the prosecutor’s office and further closure into Gjoni, who had been accused by Albania’s High Inspectorate for Declaration and Audit of Assets and Conflicts of Interest, HIDAACI, of concealing wealth, falsifying official documents and money laundering. HIDAACI is an independent body created in 2003 to tackle public sector corruption. A third article listed the ten richest judges in the country based on their asset declarations. Gjoni, who is also a member of Albania’s High Council of Justice, came in at No. 1. BIRN Albania had told the court it stood by its reporting. “The process was continuously dragged out by the plaintiffs as it became more and more evident that their claims were baseless,” said defence lawyer Dorjan Matlija. Matlija linked the delays to a vetting process in Albania’s notoriously corrupt judicial system in which judges and prosecutors are expected to explain their wealth, an effort the government hopes will aid its European Union membership bid. In March, a court threw out a separate lawsuit brought by Gjoni and his wife against the Tirana newspaper Shqiptarja.com and its journalists Elton Qyno and Adriatik Doci, seeking 14,800 euros in damages from the newspaper and 7,400 euros from each of the journalists. The plaintiffs had failed to show up for closing arguments but have appealed the court’s decision. The court cases had been criticised by Albanian and international journalism bodies as an attempt to intimidate the media.